The weather this week in Haiku Maui is wet and windy so it's going to be nice to be stuck indoors on Thanksgiving day and do some cooking. With these short and wet days, the veggie gardens tend to get neglected, but still produce plenty of things to eat... carrots, kale, beans, beets, okra, eggplant, herbs. New beds will wait until spring, and the weeds get a chance to spread out. It's a good time to enjoy the fruits of our labors. What's on the menu? This year it's not the traditional turkey and stuffing like most people are having, but food that we have grown ourselves on our own land... a big old roast beef from one of our own steers that we raised - grass fed. Tender young sweet potatoes from the garden, the new ones from the latest harvest. Beautiful green and purple pole beans from the garden. Probably the last of the salad greens tossed up with some grated turmeric and beets, to brighten up the plates. Just good old simple food cooked up with savory seasonings, and of course lots of pan gravy! Dessert will not be elaborate as that's not usually my thing. Ice cream and chocolate will suffice. Or maybe just oranges and bananas. We are very lucky and thankful to have this lifestyle where we can raise our own food and provide for ourselves. We have some acres with room for a few cattle, some organic gardens and orchards, a hen house and a couple of homes. It's pretty easy to have year round food once you get the hang of it, and don't mind putting in a few hours to keep it all running. Sure, at times it can be a lot of work, but in the end, it's great having that security and peace of mind - especially when you live on an island. While we're still young enough to do it, we'll enjoy producing and providing for ourselves in Haiku Maui. 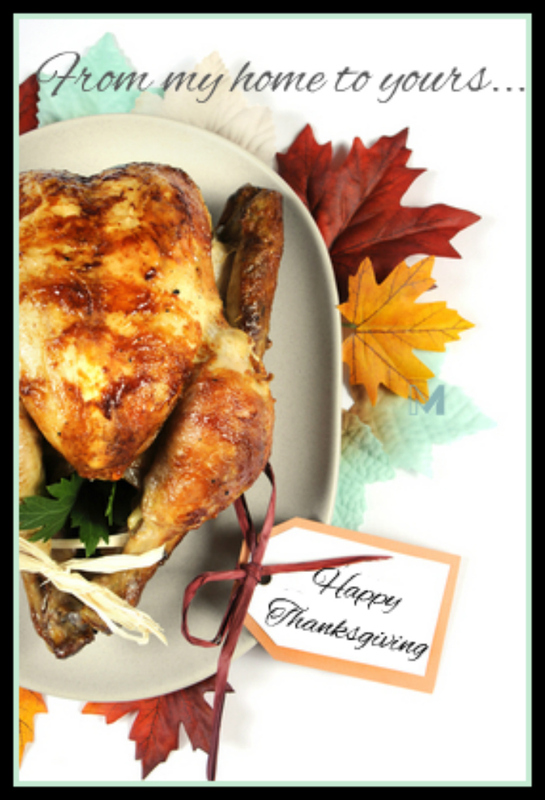 HAPPY THANKSGIVING - Wishing you all a bountiful table with delicious and healthy foods on this Thanksgiving holiday! I love to hear about your ability to be self-sustaining. I hope to be able to do some of that when we move to Montana. At least as far as the veggies goes! Sounds like a wonderful lifestyle and beautiful location. Wishing you a blessed and happy thanksgiving holiday. In my quest to eat healthier, I would love to be able to grow my own food, but I know that I would not do a very good job of maintaining such a garden. Georgie, I miss my garden, and the fresh veggies it produced. You are lucky to have fresh produce in November! Enjoy your meal, it sounds delicious! Happy Thanksgiving. We used to grow a lot of things in both LA and Napa. Now, I am just as happy to go to the Farmers Market weekly and have a farm to table experience. Georgie Hunter R(S) 58089 - What a blessing it is to have an abundance of organic food. I'll bet it's all so tasty too! Thanks everyone! Happy turkey day! Have a very special day and an outstanding holiday weekend. Chef Dolores has been busy in our kitchen. Now, that's my dream Thanksgiving meal, Georgie - I love it! I hope you & yours had a wonderful Thanksgiving today! Georgie, how lucky you are to produce and provide food for you and your family. I know you had a wonderful Thanksgiving. That is awesome Georgie. You even raise your own beef. Now that is farm to table.